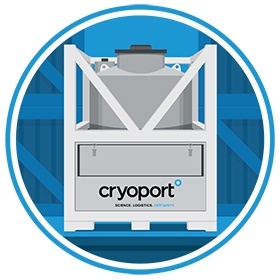 For materials that need to be kept at frozen temperatures, our Cryoport Express® solution provides the most advanced dry shippers, informatics and logistics on the market. 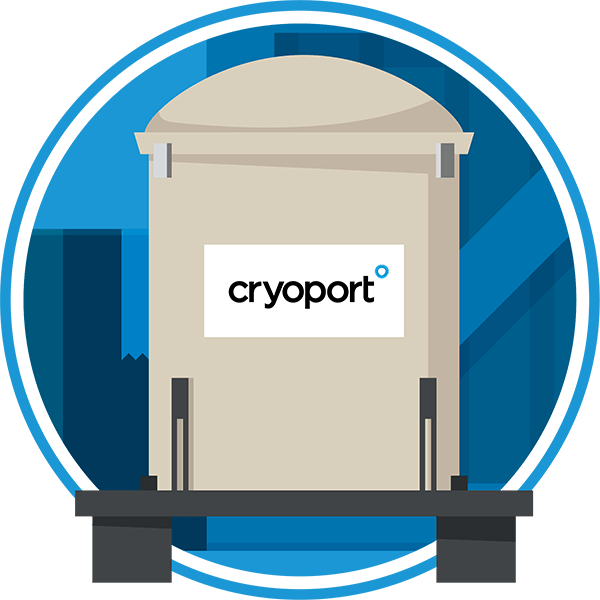 With a wide variety of shipper types and sizes, Cryoport offers a truly flexible cryogenic logistics solution. Whether you need to move one sample or an entire lab across the country or an ocean, we can ship your materials with sample integrity intact. In addition to frozen materials, we move cryogenic chambers, scientific refrigerators and other frozen biological equipment. From point of origin to destination, Cryoport provides easy ordering, fulfillment, shipping, continuous tracking and monitoring, documentation assistance and 24/7/365 customer support for your complete cold chain logistics needs. 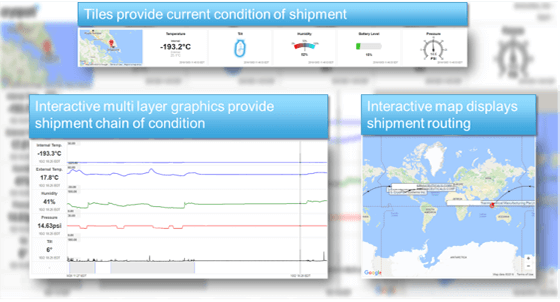 With the Cryoportal® logistics management system and Smartpak II™ condition monitoring system, you have access to accurate and up-to-the-minute data in a single data stream for your shipment — anywhere in the world, any time of the day. When you need confidence in your cold chain, Trust Cryoport. “Working with Cryoport was a truly remarkable difference compared to my experience with other shippers. With the previous shipping company I was working with, it took almost three months to establish a ‘deep frozen account’ and required numerous hoop-jumping shenanigans only to ultimately be informed that the company could not arrange a shipment to or from Israel, which they were informed from the start was our desired shipping source. “I'd like to commend Cryoport for their fantastic service. Our collaborator was also similarly impressed and will be recommending Cryoport to her colleagues. In addition to the great service and quality product, Cryoport’s pricing is second to none. 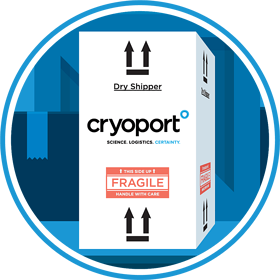 We look forward to working with Cryoport for all of our future temperature-sensitive shipments." 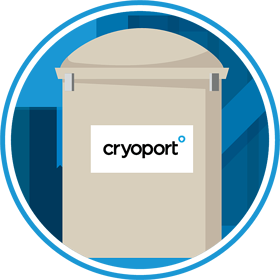 "I want to thank everyone at Cryoport who was involved in the rapid recovery of the missing Cryoport shipper containing a patient’s tumor tissue. By promptly locating the shipper and recharging it while in transit, the patient was able to receive the vaccine manufactured from this tissue on time. We are so very appreciative of Cryoport’s customer service. Without the services that Cryoport provides, our clinical trials would not be available to patients."